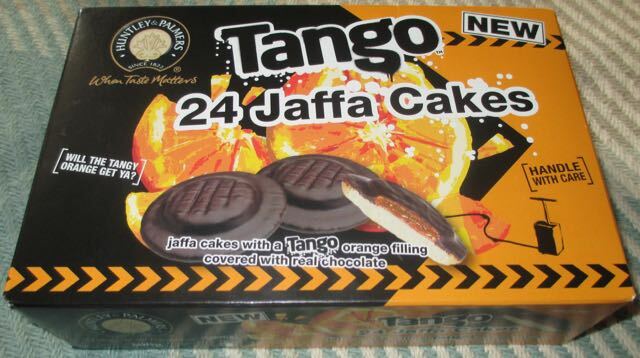 Anyway the box brandishes the Tango logos and has the theming all over it. There are even mock warnings too about just how zingy they are going to be. “Handle With Care”. I was quite excited to see how strong they were going to taste. They are actually made by Huntley and Palmers whom I assumed paid for a license to make them. 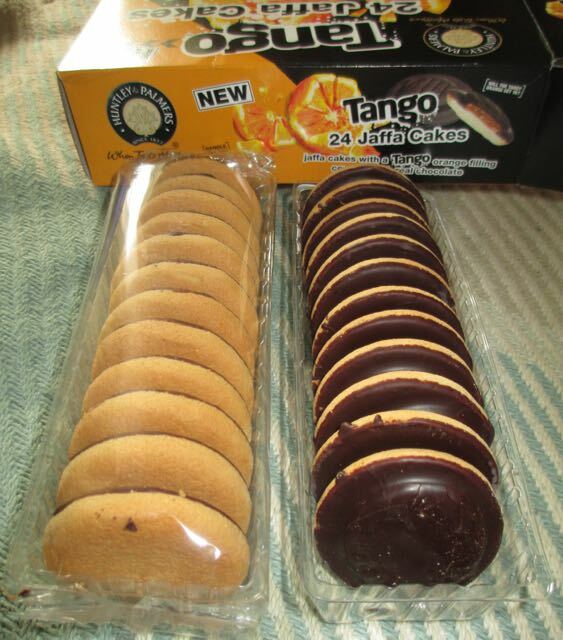 Inside the box are two packs of twelve biscuits. Both are sealed separately so there is no need to scoff them all in a hurry. The biscuits look smaller than I'd hoped, but that is always then way when goodies are hidden away in an opaque packet. 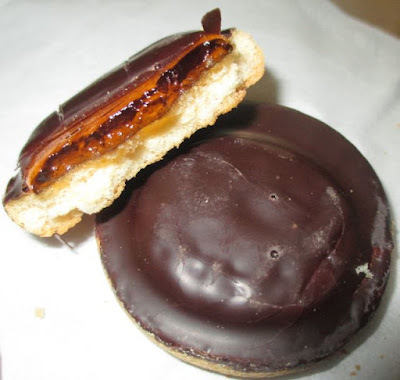 I gave one a try and found the Jaffa cakes very pleasant. “Will The Tangy Orange Get Ya”? No as it turns out. They didn't live up to the promise of ultra orange sharpness, they were sweet and and pleasant with a nice flavour. The chocolate cracked nicely on the firm jelly layer and sponge gave easily. I liked the taste, and the flavour combo. Worth picking up if you like Jaffa cakes, but there isn't anything new taste wise sadly.